A dedicated group of TUTA members attended the Convention to hand out information about amending the Constitution and to gather signatures on our petition. A few members were actively working on the Democratic Party Platform. Stay tuned for more information as it becomes available. 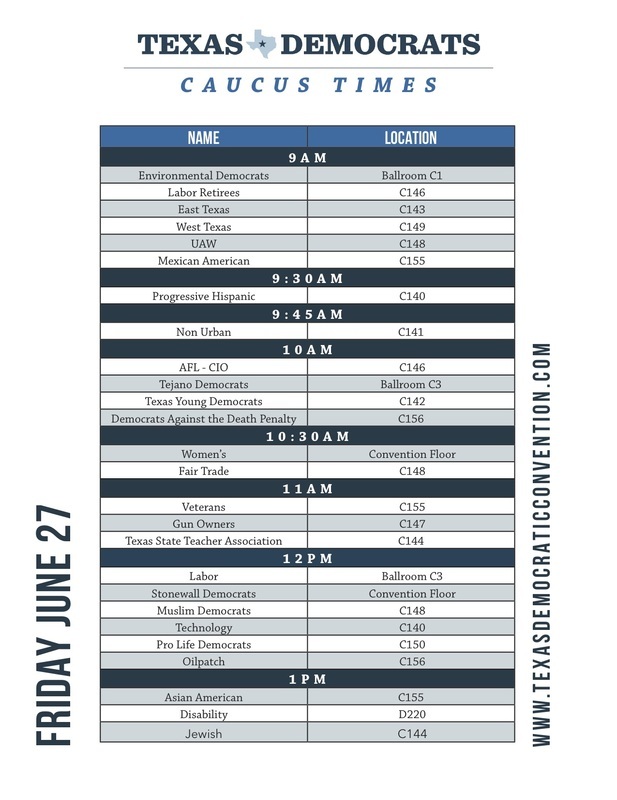 Schedule of Events at Texas Democratic Convention. Click on the images below for a full sized document. Here's a link to the entire 2014 Texas Democratic Party platform. It is not finalized yet and still subject to minor editing. The electoral process has been corrupted by the influence of unlimited corporate spending stemming from the U.S. Supreme Court’s 2010 Citizens United v. FEC ruling. Texas Democrats believe that money is not speech, and that human beings, not corporations, are persons entitled to constitutional rights. Public financing for general election campaigns for elective office at all levels, beginning with state judicial elections.